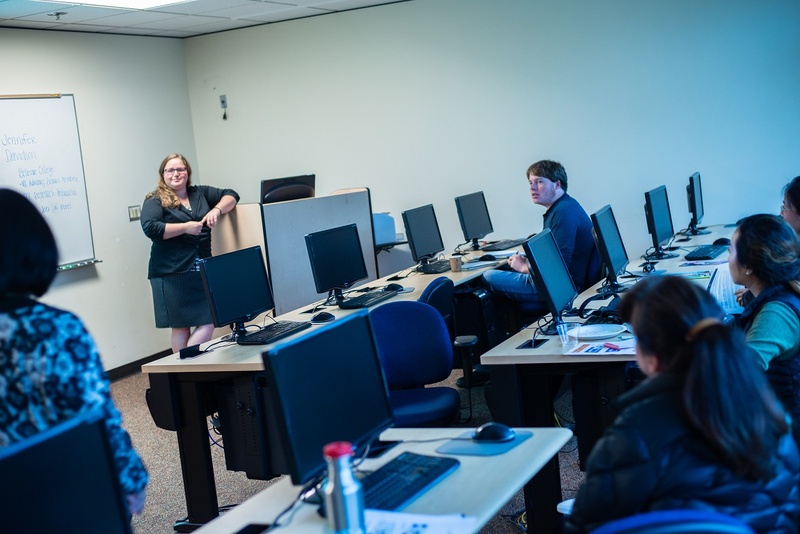 Bellevue College’s new User Experience Design Certificate program was developed by UX/UI design professionals. It provides students with a solid foundation in current user-focused design best practices and skills for online content. Students learn how to apply design principles to development of web content, improve site usability, and create design documents using detailed procedures and guidelines. Topics include user experience research, UX information architecture, interaction design, usability studies, developing web content, graphic design basics, web accessibility, and design tools. Those who want to develop their user experience research and analytical skills, understand user needs, conduct interviews and field studies, and create effective user-centered designs for web and software solutions. Why invest in the UX/UI Certificate? As recently reported on Payscale.com, UX/UI designer salaries range from $46,587 to $112,205. Job growth in this field tends to trend along with job growth for web developers. The Bureau of Labor Statistics estimates job growth for web developers at 27% from 2014-2024, which is significantly higher than the average for all occupations. This growth is fueled by increases in e-commerce and use of mobile devices. This certificate course takes 9-12 months -191 hours to complete. Incorporate business and marketing goals while catering to the user. Improve the usability of the site and its acceptance by customers. Organize collected information into a usable taxonomy. Generate a data model for a website’s search engine. Recognize the characteristics and design elements of usable web sites. Generate clickable/tappable prototypes that effectively express how your design functions. Use heuristics to communicate usability standards. Create and test prototypes to understand how usability testing can improve human-computer interactions. This certificate can be taken as individual classes or by combining our two UX/UI Focus Stacks, Business Intelligence and Design Focus. To register for a free information session, click on the session description below.